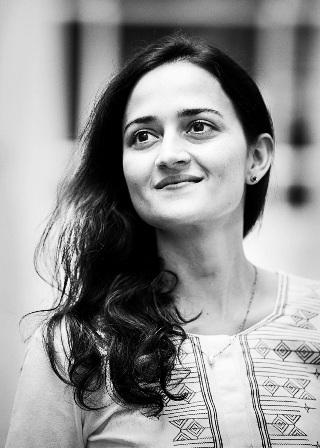 Saskya Jain grew up in New Delhi. Educated at Berlin’s Free University and at Columbia University, she holds an MFA in Fiction from Boston University, where she received the Florence Engel Randall Award and the Robert Pinsky Global Fellowship. Her writing has appeared in numerous literary magazines, and one of her stories was a finalist in the 2011 Asian-American Short Story Contest. Fire Under Ash is her debut novel. Visit her here. NAW- Tell us about your book, Fire Under Ash. How did you get the idea for it? What is it about? It’s about three Delhi people today – Ashwin, Lallan and Meera –who, each in their own manner, want to break away from the paths set out for them. Ashwin is from a wealthy Delhi family but sees himself as an artist at heart. Lallan is thoughtful and sensitive but his ambitions exceed his means. Meera, Ashwin’s older sister, is torn between living the high achieving expatriate life in New York and being true to herself.The genesis for the book was coupled to a situation. I was watching a street barber outside Jawaharlal Nehru University in Delhi cut a young man’s hair. The character of Ashwin had already been flitting through my mind and suddenly it was his hair that the barber was cutting. That scene where Ashwin meets the barber Rambabu were the first pages I wrote. I suppose the larger ‘themes’, such as Delhi and how it changed over the last two decades or feeling trapped in your life as a young person, were there from the beginning but they manifested themselves as such only much later. It took me about four years, though the idea had been with me for longer. The title is a phrase from the book. I felt that the image of a fire burning under a layer of cold ash works well for the book as a whole and perhaps even for Delhi today. It suggests that there is more to a situation than meets the eye, that something is brewing under what seems like a calm surface, and you know it’s going to erupt sooner or later. NAW- Tell us about the characters of Ashwin and Lallan. How did you develop the characters? Ashwin is from a privileged Delhi background, he grew up on a Chhattarpur farmhouse. What triggers the plot at the beginning of the novel is that he decides to stay on in Delhi and do college here rather than go abroad, the way he’s supposed to do. He’s witnessed how Delhi has changed and senses that there’s a life for him there that he would lose if he goes abroad.At college here is where he meets and befriends Lallan, who has come to the capital from Patna on a scholarship and in the hope of making it big in the city, even though he’s supposed to return to Bihar after his one-year course in Delhi. The two boys end up falling in love with the same girl and as they compete for her attention Lallan becomes increasingly disillusioned with the city.I was interested in throwing together two such vastly different people. I guess at the heart of the book is an acknowledgement of the fact that most of our problems arise out of failed communication. NAW- Did you travel and research for the book? How did you go about it? My parents were living on the JNU campus while I was writing this book, so I got to know a number of the students and their stories very well. I also went to Patna and spent some time there with students of the College of Arts and Crafts and later at Patna University. I was very intrigued by the students’ ideas of Delhi, by their ambitions and what they felt were the challenges they were facing if they were to move here. While writing the book I became aware that I’d always had a habit of hanging around places I’ve known since I was a child or places that recur in the novel, e.g. the metro, and just soaking things up. Conversations, interactions, gestures. That’s the part about writing that I enjoy most. NAW- What can a novice reader expect from Fire Under Ash? A story about how power and ‘good intentions’, the latter born out of ignorance and a largely selfish impulse, make a dangerous cocktail for another whose only weapon is his intellect and ambition. I know this to be a very Delhi story on the one hand, but I also suspect that many people in cities all over the world are familiar with it. So the book offers readers an intimate look into the minds of a new generation of an aspiring urban elite, with all their romantic, social and economic entanglements. NAW- You have tackled in Fire Under Ash, the deeply rooted class divide, an oft attacked aspect of Indian society. So what makes your story unique? There have not been many novels in English about Delhi today, i.e. the whole phenomenon of Delhi and how it’s changed in the last fifteen years. Of course, broadly speaking it’s about class divide but the novel deals with a specific moment in Delhi and with conflicts that arise out of these particular characters. The book is also a coming of age story, which usually implies a positive development, but in my book the characters’ coming of age and maturing turns out to be quite negative. And maybe that’s what becoming more human is also about: having to make increasingly difficult choices in which sometimes you choose the more selfish path or a path which requires you to lie to yourself and dismiss other options with more confidence and ease. I think these are all aspects that, though very concrete and local, also have relevance beyond Delhi and India. I’ve written short stories and essays, which have been published in the US, UK and India. I also have a parallel life as a translator and editor within the academic field of Performance Studies. I’ve translated a book by the eminent German theatre scholar Erika Fischer-Lichte and co-edited a book of essays with her, both published by Routledge. I started writing the novel, then applied to an MFA programme with it and ended up going to Boston University for a year. The MFA worked as a catalyst for me, allowing me the time and space only to write and think about my book. I wrote the novel in the years following the MFA and it was accepted for publication shortly after I finished it. Fretting about not writing! And thinking about food–cooking and eating it! My father jokes that if I get bored of writing I can open a restaurant. I’m always on the lookout for new ingredients or recipes. I enjoy exploring different vegetable and food markets in Delhi, or having a plate of chhole at Evergreen, or the Andhra Bhawan thali or sitaphal ice cream at Natural’s in Mumbai or Bangalore. Food and cooking to me suggests the perfect balance between adventure and comfort, in Delhi as in Berlin, though one of my big pleasures in Berlin is also going on long bicycle rides around the city, which I wish I could do in Delhi as well. That’s a hard question, because you don’t necessarily write like the people who influenced you. It’s more about something in their work that really shook you and that stays with you vividly. Vladimir Nabokov, V.S. Naipaul, Richard Yates, Arun Kolatkar, Geoffrey Chaucer, Robert Walser and James Baldwin all had that effect on me. They all wrote books that made me want to be a writer. Recent novels that I felt a close affinity to include A Visit from the Goon Squad by Jennifer Egan, Half of a Yellow Sun by Chimamanda Adichie and Madeleine Thien’s Dogs at the Perimeter. All of the above writers are masterful stylists—the books read as if every single word was carefully chosen. And their characters are all people I somehow recognise, though they are often far away from my own experience. I’m reading a novel by the Australian writer Christos Tsiolkas entitled The Slap and former Cabinet Secretary T.S.R. Subramaniam’s memoir called Journeys Through Babudom and Netaland. 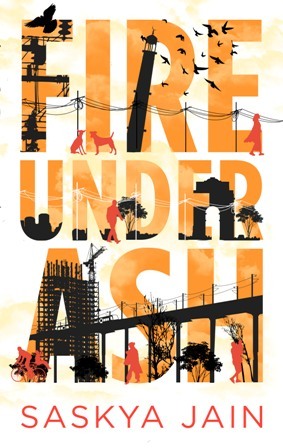 I recently started writing my second novel, though lately I’ve been a bit distracted due to the launches of Fire Under Ash in various cities in India, where I’ve been giving readings and participating in literary festivals.